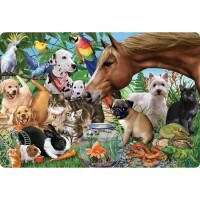 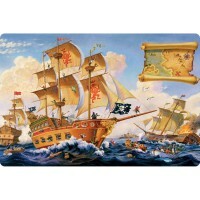 Visit the animal farm and assemble this 2x 3 feet 24-pc floor puzzle by T.S.Shure. 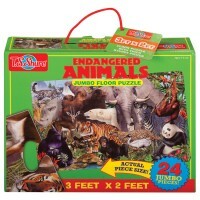 Visit the animal farm and assemble this giant floor puzzle! 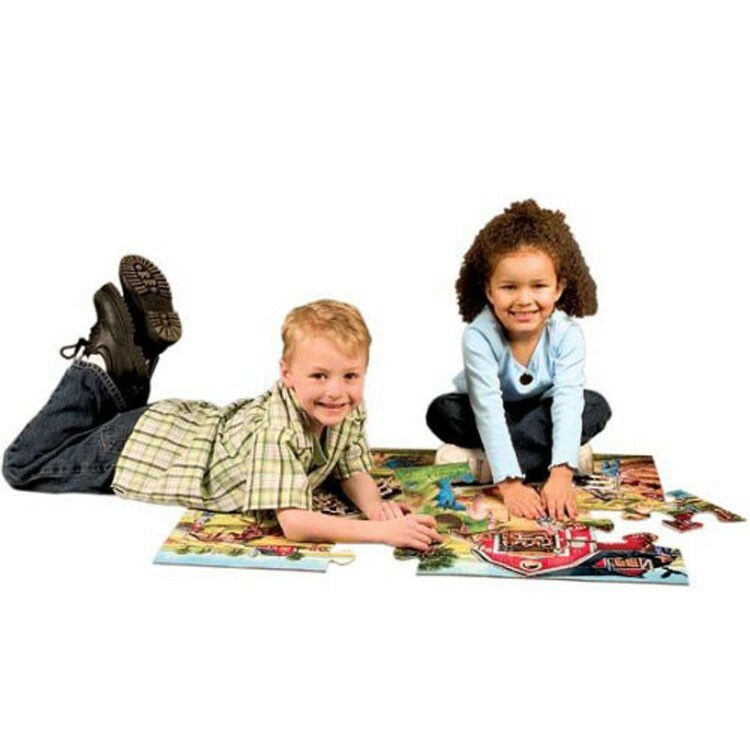 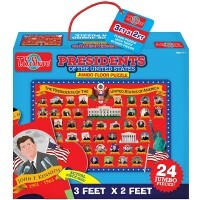 T.S.Shure Farm 24 pc Jumbo Floor Puzzle brings sturdy cardboard jigsaw pieces to put together 3 x 2 ft. floor puzzle. 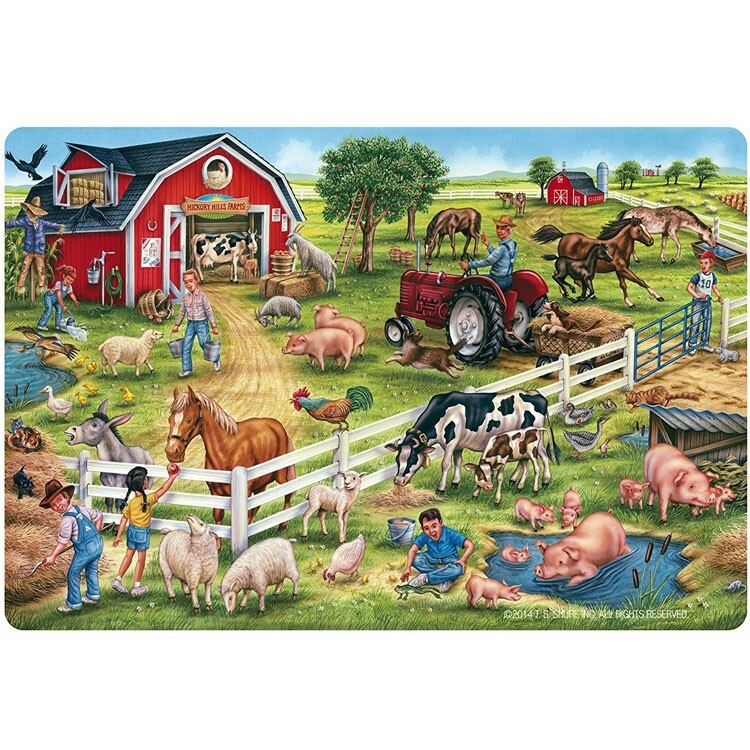 This farm theme puzzle features a beautifully illustrated picture of a busy farm with kids favorite barnyard animals, tractors, farmer and his family, and more. 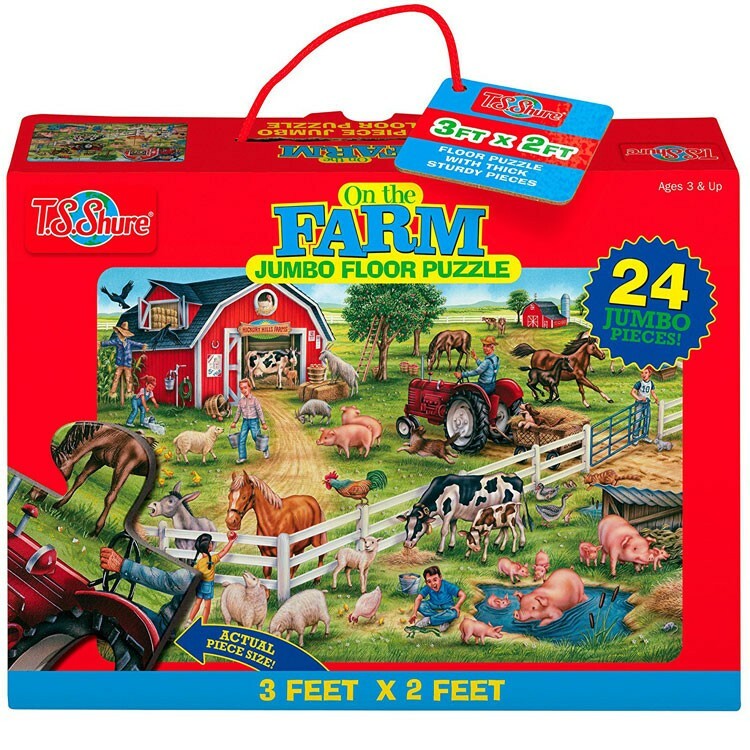 The Farm 24 pc Jumbo Floor Puzzle includes 24 large size puzzle pieces made of quality glossy cardboard. 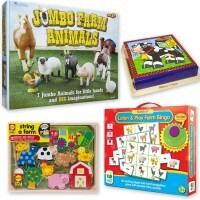 This kids farm puzzle from Educational Toys Planet comes neatly packed in a sturdy storage cardboard box with carrying handle. 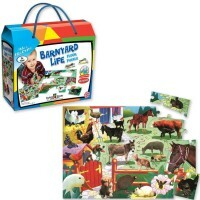 Let's explore the farm life and see how the real farm works. 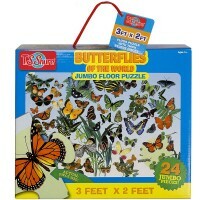 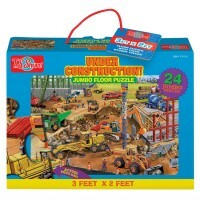 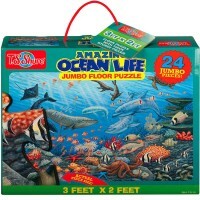 Dimensions of package 9" x 18" x 2"
Write your own review of Farm 24 pc Jumbo Floor Puzzle.